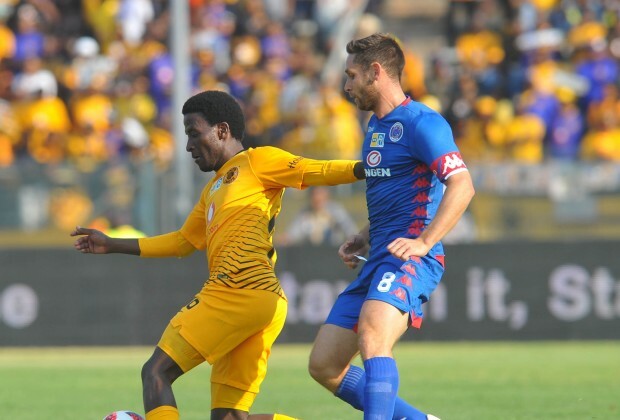 SuperSport United have an opportunity to continue their late title challenge when they take on a resurgent Kaizer Chiefs in Friday’s Premiership clash at Mbombela Stadium in Nelspruit. SuperSport have won four of their last five matches and have risen to fifth in the standings, just five points behind leaders Mamelodi Sundowns. A major reason for their good form has been because of the goal-scoring exploits of Mxolisi Macuphu, who has managed four goals in five matches since joining the side on loan from Bidvest Wits. He recently told the Sowetan of his strike-rate: “As a striker…you get judged with the number of goals you score. “When you play and you don’t even get a single goal, you don’t get recognised. Meanwhile, Chiefs still have an outside shot of mounting a title challenge though they trail Sundowns by eight points in seventh place. However, a victory for the Glamour Boys could put the side back in the reckoning with the finish line in sight in 2018/19. Dumisani Zuma has been in bright form for Amakhosi having netted in the most recent league wins over Highlands Park and Maritzburg United. In team news, Dean Furman misses out for the hosts with suspension although Aubrey Modiba is set for a return. It comes as good news for United as he is second in the PSL with eight assists. Meanwhile, Chiefs report no notable concerns though it is likely Bruce Bvuma will start again in goal. The 23-year-old was included in the Bafana Bafana squad to face Libya later this month. Kickoff between SSU and Chiefs is from 20:00.